When Teresa Carson recently asked me 3 interview questions about Girl Talk, she wanted to know how I select the poets each year. I replied that I try "to include women who actively support other poets." Then last Saturday at the Girl Talk reading one of our poets talked about the various contributions some of our women poets have made and continue to make to the poetry community. Teresa Carson—maintains the CavanKerry blog and uses it to promote not only the work of CK poets but also the work of other poets. Jessica deKoninck—hosts poetry salons at her home for her poet friends with new books. Sondra Gash—for years curated a reading series at the Women's Resource Center in Summit, NJ. Now she hosts salons at her home. Marcia Ivans—created and hosts Poetry and Pastries, a monthly open reading for area poets. 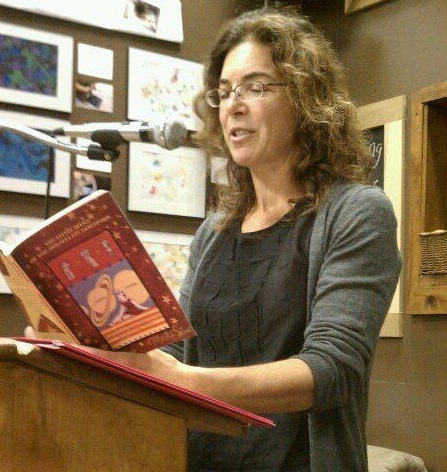 Vasiliki Katsarou—created and hosts a reading series at Panoply Books in Lambertville, NJ. Adele Kenny—hosts a long-running series at Carriage House in Fanwood, NJ. Recently named Poet Laureate of Fanwood in recognition of her service. Gina Larkin—created and serves as editor of the Edison Literary Review. Deborah LaVeglia—hosts Poets Wednesday, the longest-running poetry series in NJ, at Barron Arts Center in Woodbridge, NJ, and facilitates workshops there. 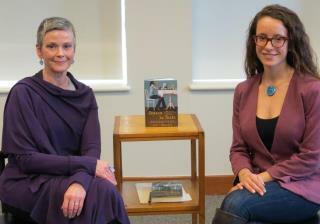 Julie Maloney—created the Meet the Author series at the Bernardsville Library. Twice a year she invites a poet or prose writer to come and be interviewed, engage in a Q&A with the audience, and do a book signing. Several years ago she created Women Reading Aloud. Using the Amherst Writers and Artists Method, she leads workshops, some with yoga, some at retreat locations, and one on a Greek island. Charlotte Mandel—founder of the Eileen W. Barnes Award Competition, sponsored by Saturday Press, to publish a first book by a woman poet over 40. Served in this capacity from 1981 to 1992. Marilyn Mohr—for 20 years hosted a reading series at the JCC in West Orange, NJ. Priscilla Orr—previously ran the Idiom Reading Series at Sussex County Community College. Now is editor of The Stillwater Review. 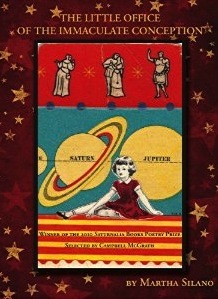 Christine Waldeyer—founder and editor of Adanna, a journal of women's poetry. Busy weekend! 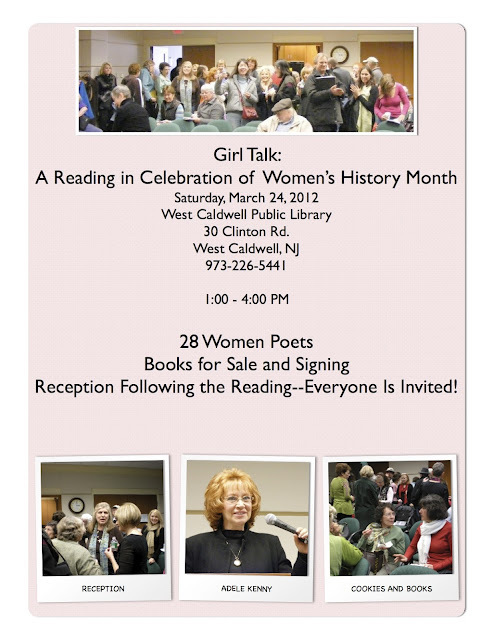 Saturday was Girl Talk: A Reading in Celebration of Women's History Month. I've been running this event for five years now. It was intended to be a one-shot deal, but everyone enjoyed it and wanted more. So more they got. We had 27 women poets each read one woman-related poem. It was a joy to read for a packed room of approximately 80 people, mostly women but some men. The poems were wonderful and the spirit in the room was palpable. The reading was followed by a Reception with lots of homemade cookies. One of our poets, Teresa Carson, who does promotion work for CavanKerry Press, recently posed 3 questions to me about this event. She then posted this brief interview at the CK blog. Then yesterday I went to Julie Maloney's Meet the Author event in Bernardsville. 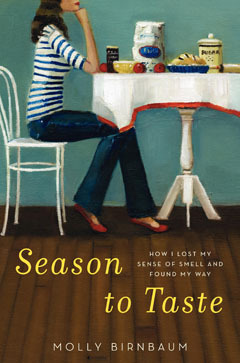 Her guest was Molly Birnbaum, author of the memoir, Season to Taste. Julie has interviewing refined to an art. Her questions elicited wonderful responses from Molly as she told us about her experience of losing her sense of smell as well as her sense of taste. Shortly before she was to leave for the Culinary Institute of America to pursue her dream of being a chef, she was hit by a car. She crashed headfirst into the front windshield of the car. Her memoir details the changes that accident meant in her life and how she went about recovering her lost senses and understanding what they really mean to us. As a poet interested in the senses and imagery, I found both the book and the in-person interview fascinating. Another member of the audience yesterday was the Human Resources Director at the company where my daughter works. Back in 2008 they'd invited me to give a poetry reading for one of their Women's History Month programs. Then last year they invited me back to read one poem as part of a program defined as a Collage of Women. 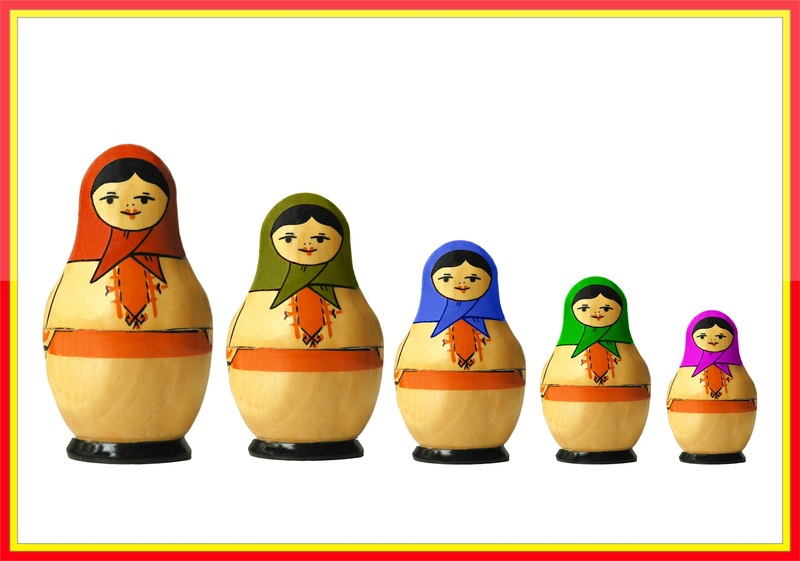 Half a dozen women employees each chose a woman they admired and then spoke about her. It was absolutely wonderful, so much so that they're repeating the program this year. Now as a result of yesterday's chance meeting, I'm invited back again and am now trying to choose a poem. I love it when one thing you do leads to another. Also in the Good News Department is this new interview with poet Michael T. Young, posted at The Inner Music. The interview is followed by Michael's review of my book, Temptation by Water. I feel very fortunate to have had this attention for my book. And very grateful! I love syntax but wouldn't dare mention it in public. It's not something normal people talk about. But then writers aren't all that normal, are they? 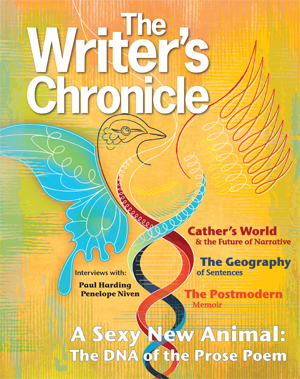 I was delighted, actually a bit thrilled, to discover an article in this month's The Writer's Chronicle on this very topic. "The Geography of Sentences" is by Emily Brisse, a high school English teacher (yay, Emily!) and writer. The title is particularly apt as this Minnesota writer is apparently also an amateur naturalist. Adapted from Emily's MFA graduate lecture at Vermont College of Fine Arts, the article tackles the subject few writers want to tackle: syntax. It's a topic we know is important, but it's a hard concept to pin down and talk about. Even when we're working on syntax, we often have a hard time defining what we're doing or articulating why it's important. What do we mean when we say that a piece of writing is wonderful, beautiful, or moving? We might mean that we liked the images, the metaphors, the word choices. We have no problem pointing to examples of those. But we also probably mean that we liked the sentences, that is, the syntax, and that we have a harder time illustrating and talking about. And yet, as Emily points out, syntax is one of the elements we need to work on in our revisions. She regards the sentence as "one of our most powerful tools." To illustrate what she means by sentences with good syntax, the ones she refers to as "magical incantations," she frequently quotes from Louise Erdrich' s Love Medicine. Although the focus of the article is on prose, poets will find the article just as valuable as prose writers will, maybe even more so. A prose writer can get away with a few bad sentences; a poet can't. Emily considers that old bugaboo—grammar—but she's more interested in how writers "manipulate chunks of language . 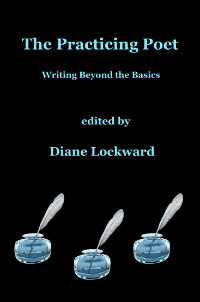 . . to achieve certain effects," how they use syntax to increase the intensity of words and to move the reader. We can do this without being able to name the grammatical parts of the sentence. What is the effect of a short sentence? a long one? an alternation between the two? a fragment? What happens if you move this part of your sentence to another part of the sentence? if you reverse the order of words? if you delay the verb until the end of the sentence? Emily is interested in how the arrangement of words in a sentence conveys and enhances meaning. She's also interested in the way a sentence looks (its shape), and she's interested in how it means. She also considers the syntax as symbol—something I'd never thought of before. She speaks about parallelism, onomatopoeia, and repetition. She talks about breaking the rules. She talks about syntax. I found this article enlightening and useful. It's making me look more closely at lines and sentences. It will do the same for you. It's even making me talk in public about syntax. By the way, if you're not already subscribing to The Writer's Chronicle, correct that error as soon as possible. Here's a syntax challenge for you: Using an egg as your topic, write a poem that's one long sentence. Keep it going for at least 30 lines of substantial length. Put it away. Go back to it. Now break that sentence into smaller parts. Some parts sentences. Some not. I have a new chapbook! Previously published as part of the Greatest Hits series, the collection is now available as an ebook and can be downloaded onto any of your ereader devices. 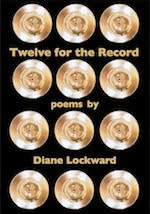 The collection consists of 12 poems, the ones most often requested, and an essay tracing the history of the poems. 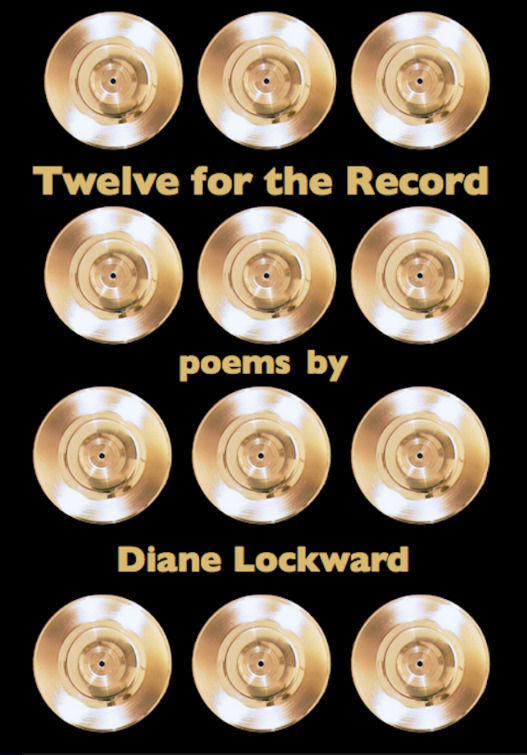 Teachers might find this collection a convenient and cost-effective resource for their poetry students. 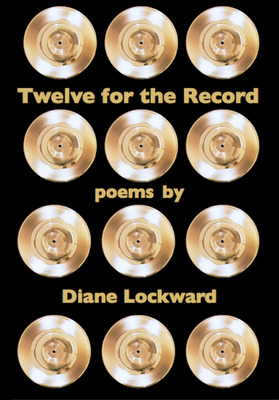 Twelve for the Record can be purchased for $3 at Amazon. Click HERE to purchase. Don't have an ereader? No problem. Amazon has applications that you can download for free. Then you can read right on your computer, tablet, Blackberry, iPhone or Android. Click HERE to download. As always, thanks for your support of poetry.